Accueil > bibliotheque > The pomological magazine; or figures and descriptions of the most important varieties of fruit cultivated in Great Britain. 3 vol. 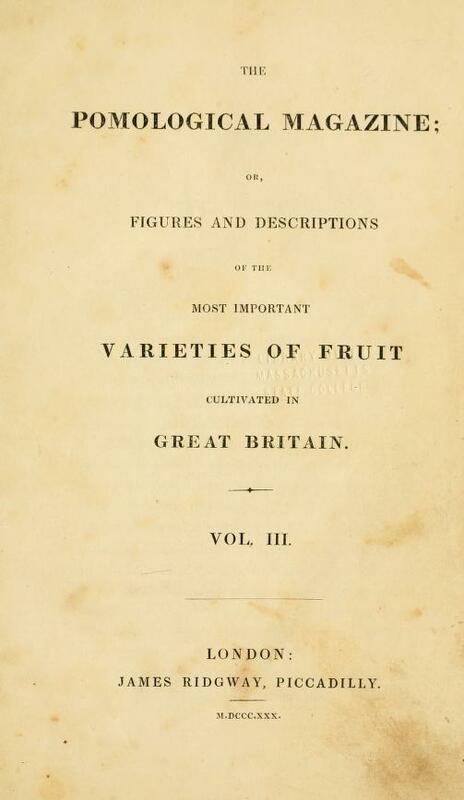 The pomological magazine; or figures and descriptions of the most important varieties of fruit cultivated in Great Britain. 3 vol.